Random House Books for Young Readers, 9780394800202, 72pp. "The canine cartoons make an elementary text funny and coherent and still one of the best around." --School Library Journal. 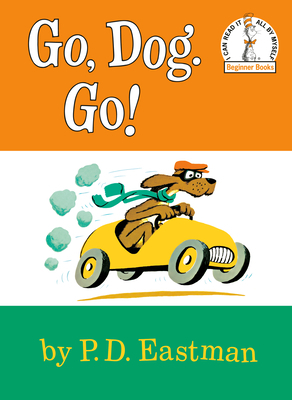 A protege of Dr. Seuss, P. D. EASTMAN wrote and/or illustrated many books for children, among them the Beginner Books Go, Dog. Go!, The Best Nest, Sam and the Firefly, A Fish Out of Water, Robert the Rose Horse, Big Dog...Little Dog, and Are You My Mother?